It’s been nearly 27-years since I played Dungeons & Dragons; back when Advanced Dungeons & Dragons 2nd Edition was the current version. Recently, I was presented with an opportunity to reset that timer, and the first thing I thought of was creating a character. 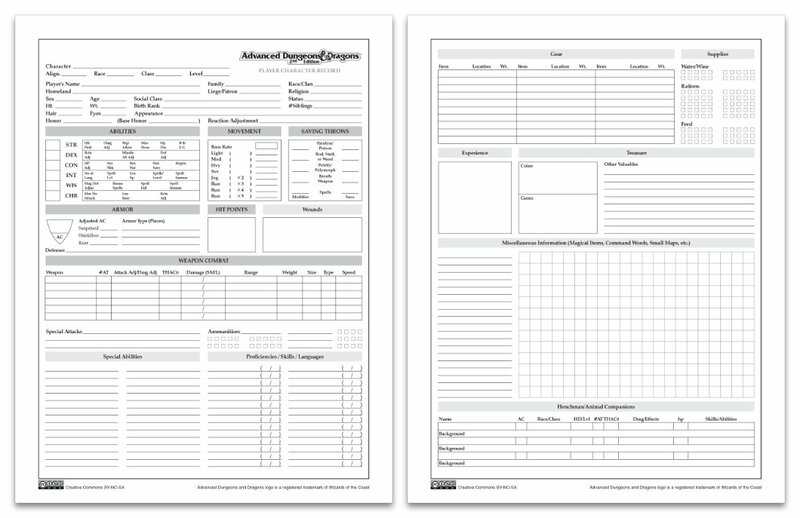 I leaped onto the internet and started searching feverishly for a compatible character sheet to record onto, only to realize that the offerings, while nice, paled in comparison to the original forms. Then I discovered an old, populated Player Character Records form nestled in The Complete Wizard’s Handbook. I fired up Illustrator, and using the form as a template, created a new sheet with all the needed fields, but with a layout that was much easier to navigate and ready for printing on any printer. I am making my version available to anyone out there looking to relive some childhood memories and enter into an Advanced Dungeons & Dragons 2nd Edition campaign. The PDF is ready to print on letter (8.5”x11”) size paper, and is licensed under the Creative Commons BY-NC-SA license. I waste a lot of time using my phone. Here’s an example: A text comes in and a full ten minutes later I’ve responded to the text, opened my email but didn’t respond to any emails, surfed the web, logged my lunch in Lose It, responded to a follow up text, checked the weather, popped over to my podcast app, read a few news headlines, responded to another follow up text. All of this happening while one of my children asked a question that I probably missed. In addition to announcing pricing and availability for the Apple Watch at their “Spring Forward” event, Apple also announced an all new MacBook laptop that boasted some interesting features and specs. The MacBook includes an all-new keyboard with butterfly switches, a new trackpad implementation with haptic feedback and pressure sensitivity, a 12” display (226 ppi), and up to nine-hours of battery life (under general use), all in an amazingly thin profile of only 13.1 mm. In typical Apple fashion, they managed to squeeze all of this into a beautiful enclosure and keep it at just two-pounds. With all the “new” surrounding this announcement, it wouldn’t be an Apple event without controversy. Apple decided to only include a mini audio jack, and a single USB-C port for both expandability and charging. Based on the responses I have read online, you would’ve thought that Apple retired from making computing devices and moved to their real passion: rock garden design. It’s in Apple’s nature to only include what they feel is needed, removing those technologies that are either unnecessary or approaching obsolescence. With the new MacBook, they are aiming it at general laptop users who very rarely plug in expandable hardware. Integrating only one USB-C port may seem like a horrible decision to the more advanced computer users, but they must remember that they’re usage patterns are not the norm. I can understand the concern with having to share one port for both expandability and recharging the laptop’s battery. If it weren’t for my iPad — which suffers the same issue — I would probably weigh more heavily on this potential issue. To get a better sense of how this change would affect users, I looked to the most likely candidate of the new MacBook: my wife. She has an older model MacBook; one with ports galore and even a separate MagSafe port. In all the years that I have witnessed her use it, I have never seen more than one device/cable plugged in at a time. She logs onto our network wirelessly, prints wirelessly to our home printer and shares files wirelessly. When she wants to share her music, photos or screen on the TV, she does so wirelessly via our Apple TV. With the exception of a USB thumb drive, I can’t think of a single reason why she would use her ports. Apple is showing us where they believe portable general computing is headed with the new MacBook. A world without unnecessary cables and weight, allowing the portable computer to be truly portable. And while it may be a shock to the system today, this reaction is nothing new. I can’t remember the last time I used a floppy disk, but when Apple dropped it from their lineup in 1998 we experienced the same reaction: fear of change. With the recent announcement that the Apple Watch Edition (the 18k gold version) would start at $10,000, the tech press has reacted in an unsurprising manner. They questioned if Apple had gone too far. They wondered how Apple could justify such a premium price tag. All of this confusion makes sense, though, if you are from the same camp that argues that Apple needs to create cheaper products. 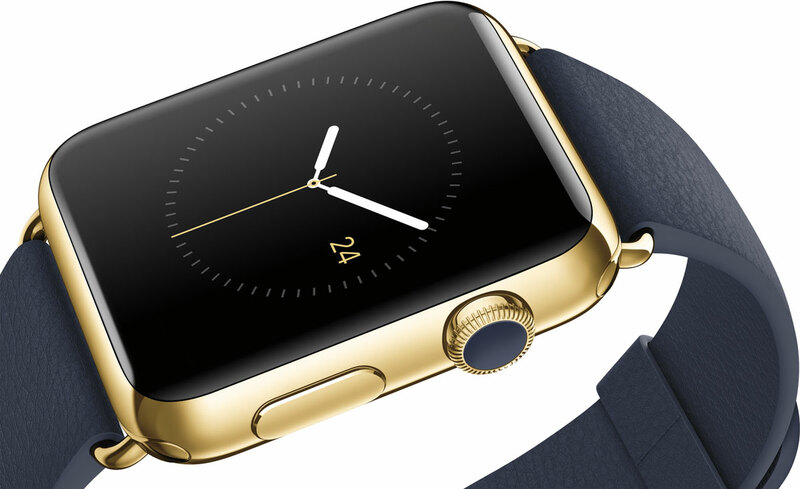 The Apple Watch Edition is not for the masses, it’s for the few. It’s aimed at people who spend $10,000 without a second thought and who would like to wear the Apple Watch but wouldn’t be caught dead with a non-gold accessory adorning their wrist. It’s a small pool of people who meet this description, hence why Apple has limited production of the Edition. If you are sweating the $10,000 starting price of the watch, then you are not the target demographic.